Yesterday, T.I.harnassed and unleashed a potent dose of "old head energy" in Kodak Black's general direction. Though Kodak appears to be fielding foes from all angles, hydra-esque, the young Floridian has given no indication of letting up. In fact, he appears to have doubled down on his disrespect, be it angled at Tip, Game, or anyone who issues fightin' words. Today, TMZ caught up with the Troubleman to pick his brain on the matter, and Tip took a moment to reflect on some of nature's unwritten rules. "The respect of a non-respectable person is not valued," says Tip, en route to his car. "I'm respected by respectable people, you know what I'm saying? People who can actually be held to high regard." When the cameraman claims one rapper - alluding to Nipsey Hussle - already got hurt, T.I. takes a moment to correct the statement. "What you saw was a legend," says Tip. "A revolutionary transitioned into an unlimited spirit. A limitless spirit. That's what we saw." 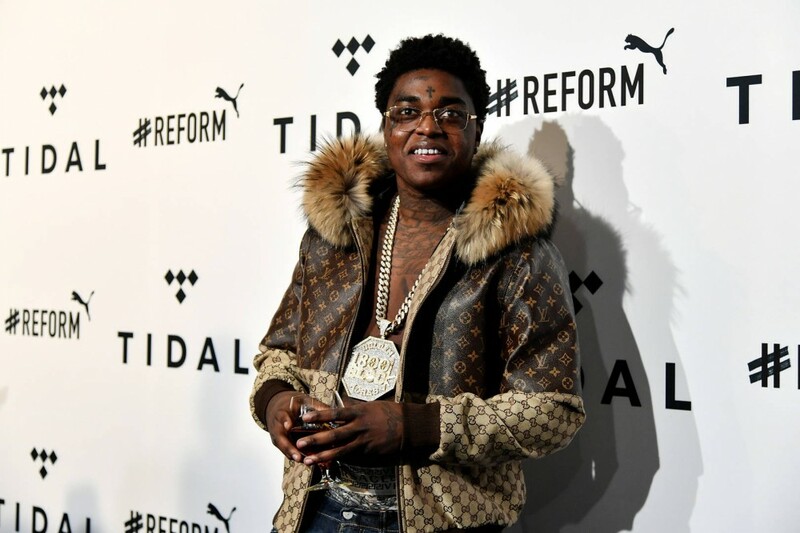 The conversation circles back to Kodak, who recently accused T.I. of wanting "dibs" on Lauren London, which is in itself a vile accusation, given the circumstances. "To be honest with you shawty, that's all his brain capacity could come up with," says T.I. "I urge him to go educate himself, enlighten himself. If he knew better, he'd do better. I'm going to continue to pray for wisdom and enlightenment, I just hope he fix it before it fix him." He shrugs. "I don't wish no pain on him. But ultimately, the laws of reciprocity are in order at all times. You get what you give. The energy he putting out there, it gon' come find him."